This is the sixth of 49 random acts of kindness (RAKs) that I’m doing to honor the victims of the Orlando Pulse nightclub shooting. Hopefully each small act puts a little bit of happiness back out in the world! For this RAK I donated to one of our local Little Leagues – they were running a fireworks stand to raise money and someone broke in overnight and stole almost $12,000 worth of fireworks. 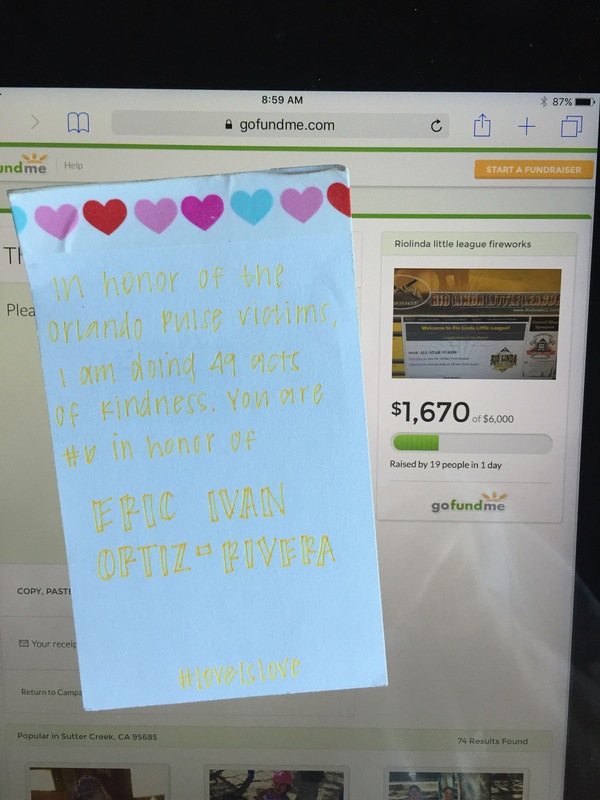 This RAK is in honor of Eric Ivan Ortiz-Rivera, who was 36 years old and married. He was known as a goofball who loved to dance and was working two jobs to get by. Rest in peace, Eric!